What will ETF do for Bitcoin? 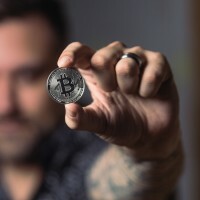 In an exclusive interview with CNBC, venture capitalist and author of personal finance books, Rick Edelman gave his insight into the possibility of getting Bitcoin approval for exchange-traded funds (ETF). Venture capitalist sees VanEck SolidX and Bitwise ETF as potentially strong candidates. He is confident that in a very short time VanEck or Bitwise will satisfy the SEC’s concern for custody. His statement appeared a few days after SEC Commissioner Robert J. Jackson told Congressional Quarterly Inc. that bitcoin in real time will be finally approved. Many industry experts claim that Bitcoin ETF will make cryptocurrency markets a safer and more secure space for traditional investors. Bitcoin will have tangible booms when big names in the banking world will invade the realm of cryptocurrency. Recall that the SEC, the agency entrusted with overseeing the securities markets, had previously rejected nine applications filed with it. Cryptocurrency is still subject to manipulation and theft, this is the biggest obstacle that the SEC now deals with. Despite this, most analysts believe that the agency is likely to offer candidates with green light to move forward with the Bitcoin ETF listing this year.